The call comes after the US Supreme Court ruled American courts do have the jurisdiction to consider challenges to the legality of the detention of foreign nationals in Cuba. "Mr Habib I believe does not have assistance from the Australian Government for that but there can be no reason we can see for discriminating between the two of them," he said. ICAC review: Do the watched now want the watcher? By the way, what time is it? Perhaps it's time for the Government to go straight? He is to review the definition of corrupt conduct. But why not just go to this link? Sounds like we must keep 'watching' this watchdog to see if those who could potentially be watched aren't 'wanting' the watcher. Or trying to attack and undermine the Commission by pulling its teeth out or just to use the Commission to deal with the government's own aims? Peter Breen is being attacked by ICAC. There will be a public hearing for a week in the ICAC hearing room level 21, 133 Castlereagh St, beginning on Monday July 5 at 10am. Bob Carr, has ruled-out any move to combine the ICAC with any other, [alleged], corruption-fighting body such as the Police Integrity, [Selective], Commission insisting as part of the terms of references that it must remain a stand alone body. However, the review may alter the commission's scope, and may lead to a name change. His report is due to go to the Government by October 29. It remains to be seen what will happen to this independent watchdog that used to also watch police, perhaps so efficiently that it was left up to the PIC who now watches itself? 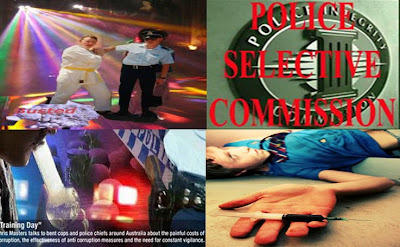 The filthy NSW Police Integrity Commission! Ten years after a royal commission exposed the corruption extending to the heart of the NSW Police there has been no change in police culture, and any change would be difficult to bring about because the government is the problem. The Daily Terror attack Mr Breen again! This time they are alleging UPPER House MP Peter Breen used his $102,000 public salary to fight for yet another cause, the newspaper doesn't agree with. LILLIAN SALEH and STAVRO SOFIOS both reporters for the Daily Terror have written an article allegedly for Bob Carr in today's Daily Terror. For the past four years, Reform the Legal System has promoted human rights in the new South Wales Parliament. Our most significant achievement is the legislation, passed late last year, to require all bills introduced into the Parliament to be checked for breaches of human rights. This legislation arose out of the Bill of Rights inquiry which we instigated. Over the next four years we will continue to promote debate in the Parliament on human rights, particularly the rights of prisoners, who are the victims of the Liberal and Labor law and order auction. So much for Bronwyn Bishop's Federal Crime Inquiry? The police investigating themselves is and will always remain a formula that breeds police corruption. This formula is relied on by the government and senior police to bend the truth and justice when indeed it suits them - say to frame someone under the guise of Noble Cause Corruption. Not just that but the PIC is selective in what police integrity it is willing to look into. and there are many complaints made by the general public about police corruption that won't be investigated by the PIC or will have any form of forum that is willing to hear the complaint. If it is left up to the Ombudsman who then asks the police to investigate themselves and the police send a letter to the Ombudsman to say there was no problem and no evidence - without any formula that even suggests there has been any investigation at all. Again we can prove police corruption as well as government corruption but the file that contains the evidence is still on my desk. Why? Because police refused to look into it and there was nowhere else to go. So all those corrupt police are still corrupt and have no doubt gone on to cause others in the community similar problems. This must be stopped and we must seek and independent body to deal with police corruption, at all material times, otherwise the government is the problem. These are the pessimistic findings of the community and the Police Integrity, [Selective], Commission in a report brought down yesterday. In the end, only six officers have been convicted of criminal offences - David Phillip Patison, Matthew John Jasper, Raymond John Peattie, Shaun Andrew Davidson, David Marshall Hill and Mark William Messenger. The 532-page PIC report, tabled in State Parliament, found 40 former and three serving officers guilty of misconduct. Substantial allegations also remained against a further 10 former and six serving officers, and five civilians. All were involved in an investigation, Operation Florida, sparked in 2000 when a drug dealer, Luke Michael Benbow, got fed up with being repeatedly ripped off by corrupt police and took legal advice to complain to the State Crime Commission. Operation Florida focused on the Major Crime Squad North, North Sydney Drug Unit, Gosford Drug Unit and Manly detectives. It was alleged in the PIC that some of them had solicited and received bribes from drug dealers; organised or "green-lighted" drug trafficking and break-and-enters; stole cash and property; reduced charges in return for payment; perverted the course of justice; and assaulted, verballed and "loaded up" suspects. Such events came to light only after one officer, code-named M5, told the NSW Crime Commission in 1998 about his corrupt past and offered to trap former colleagues in casual conversation about past events. One event concerned the operation Let's Dance, where a large amount of drugs and money was recovered at Manly in 1992. It was alleged that more than $100,000 was skimmed off and shared among members of the Major Crime Squad North. The theft was talked about in hushed but hilarious tones for years and it did not take much effort for M5 to induce his former colleagues after a couple of beers to incriminate themselves, recording their words to confirm his own account to investigators. But the passage of time and failing memories all counted against working this up into a criminal case that would stand up in court. More relevant evidence related to the former Manly detectives David Phillip Patison and Matthew John Jasper. Both were arrested on December 16, 2000, and the evidence against them had been building since the previous May. Two drug dealers, Benbow and Vincent Caccamo, who helped investigators expose Patison and Jasper, were convicted of drug-related offences but received reduced sentences. A solicitor, Martin Green, by allegedly engaging Benbow in a dubious conversation, was prosecuted on counts of inciting Benbow to bribe Patison and acting with intent to pervert the course of justice. He was acquitted at trial but the Law Society cancelled his practising certificate. Those who were not prosecuted gave evidence to the commission under a provision which allowed them to declare that whatever they said, provided it was truthful, could not be used against them in civil or criminal proceedings. Because a lot of the evidence related to events dating back as far as 1991, it was hard to get corroborative evidence that might have led to a successful criminal conviction. But there was sufficient evidence for misconduct findings. The commission recommended tightening of police procedures in several areas, including the execution of search warrants and supervision. Police had initiated their own reforms in other areas. On the handling and storage of exhibits, the PIC noted that specific procedures existed in the 1990s but there was a failure of compliance and supervision. The Opposition Leader, John Brogden, said he was concerned at the small number of charges "despite findings of misconduct against many, many police". Mr Brogden feared the PIC lacked the will to follow individual matters through to charges. "We're finding that our watchdogs are becoming political lapdogs in NSW," he said. The Police Minister, John Watkins, said only that he had a copy of the report and had referred it to the Police Commissioner, Ken Moroney, for a further report. When are police going to stop investigating themselves? When the government goes straight! Victorian Opposition leader Robert Doyle says the latest claims of police corruption need to be investigated by an independent crime and anti-corruption commission. 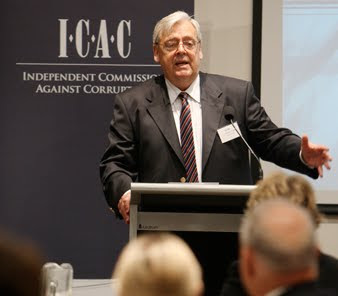 The Federal Government says it wants to establish an independent national anti-corruption body to improve accountability in organisations like the Australian Federal Police and the Australian Crime Commission because they're corrupt. The body would have royal commission powers and be permitted to intercept phone calls. Victorian Assistant Commissioner of Crime Simon Overland says the man who was the target of an alleged planned gangland killing has refused police protection. The Chief Commissioner of Victoria Police, Christine Nixon, has moved to dismiss two police officers as part of a crackdown on corruption and says up to 20 more dismissals could follow. The Office of Public Prosecutions in Victoria will drop drug-related charges against a suspended police officer tomorrow after an informer due to testify in the case was murdered last month. Victorian Police Chief Commissioner, Christine Nixon, says Victorians should brace themselves for more evidence of police corruption. The Victorian Ombudsman's report on the Ceja Taskforce and drug related corruption in Victoria police has been tabled in State Parliament. When the Ombudsman investigates police in most States and Territories of Australia they set about asking the police to investigate themselves to see if there is any validity to a complaint. The Victorian Government has reacted strongly to continuing allegations of police corruption, with the Premier announcing a big boost to the State Ombudsman's power and resources. Victorian police have been forced to defended the Witness Protection Program again, after an alleged incident involving a police informer. It has been revealed that the former head of the disgraced Victorian drug squad is now a senior investigator at the New South Wales Police Integrity Commission (PIC). The Victorian Opposition has criticised the penalty handed down to a Victorian police officer who tried to find the home address of an officer investigating corruption. Steve Bracks was "fiddling while Melbourne burns", a respected senior crimefighter said yesterday, as the state Ombudsman was attacked for being ill-equipped to tackle entrenched police corruption. A senior Victorian police corruption investigator says fellow officers have intimidated and threatened him. A former Federal Court judge last night described corruption in the Victoria police force as the worst ever. The Victorian police force says threats against internal investigators will not stop it from weeding out corrupt police and bringing them to justice. The chairman of Victoria's Ceja police internal corruption task force has admitted there is a link between police corruption and Melbourne's gangland killings. Victoria's top cop needs a watchdog? The Bracks Government is expected to announce new powers of investigation for the Victorian Ombudsman today. So what are they trying to say? The dog never had the power? The Pentagon formally referred the three cases to a single tribunal comprised of a presiding officer, retired militant colonel Peter Brownback III, and four other militants, but did not set trial dates. "It's an important step. Having the presiding officer will get the process moving," said Major John Smith, a militant lawyer and Pentagon spokesman on the commissions. US officials say the defendants, Hicks from Adelaide, Ali Hamza Ahmed Sulayman al Bahlul of Yemen and Ibrahim Ahmed Mahmoud al Qosi of Sudan, are Al Qaeda, [US demon], members. Earlier this month, Mr Hicks, a convert to Islam accused of joining Al Qaeda, [US demon], was charged with three counts: conspiracy to commit war crimes, attempted murder by an unprivileged belligerent and aiding the enemy. Al Bahlul and al Qosi, both described as close associates and former bodyguards for Al Qaeda leader Osama bin Laden, were charged in February with a single count each of conspiracy to commit war crimes. The Pentagon previously has said it does not plan to seek the death penalty against any of the three. The Pentagon's move came a day after the US Supreme Court decided the Guantanamo prisoners could turn to US courts to challenge their confinement. Military lawyers assigned to represent the three defendants said the ruling could bolster court challenges to the legality of the tribunals, formally called military commissions. The, [alleged], trials will be held at the US naval base at Guantanamo Bay, Cuba, where the United States holds approximately 595 foreign terrorism suspects, [scapegoats], including the three defendants. Col Brownback, a veteran of the militant law system, will contact lawyers in the cases to set an initial trial schedule, but it likely will be a month or two before trial dates are set, officials said. It was not decided which defendant would be tried first, they added. The Pentagon did not identify the other panel members, but said there were three colonels and a lieutenant colonel. Human rights groups have condemned the trial process established for the commissions, saying the rules favour the prosecution, undercut the defence and do not permit independent judicial review. The Pentagon promised "full and fair" trials. "All three accused are presumed innocent of any criminal charges unless proven guilty beyond a reasonable doubt at a 'military commission'," the Pentagon said in a statement. The Pentagon said al Qosi was a key accountant for bin Laden and al Bahlul was a "key Al Qaeda propagandist" who produced videos "glorifying the murder of Americans." Hicks trained at al Qaeda camps in Afghanistan, it said. Bush has designated three other Guantanamo prisoners as eligible to be tried before a military commission. Perhaps it would make good US election propaganda? Interim puppet Prime Minister Iyad Allawi said on Tuesday that Saddam and up to 11 top members of his ousted government would appear before Iraqi judges to be charged on Thursday, although a trial was still months away. 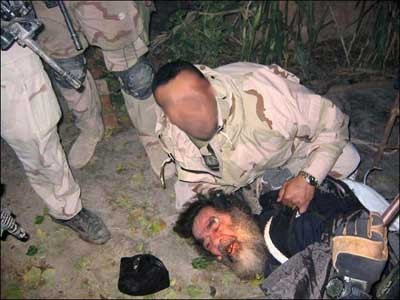 A puppet Iraqi government would wait until the US election before trying and slaying Saddam Hussein and his merry men. "I have always believed that the sooner Saddam Hussein was brought in the courtroom, the better for Iraq", Iraqi puppet ambassador Rend Rahim said. "We're approaching that trial," she said at a conference called at a conservative Washington "think-tank", the American Enterprise Institute. "It could happen in the coming weeks, it might start with the trials of lesser persons, like Ali Hassan al-Majid (known as Chemical Ali)". Saddam Hussein's trial will play an important part in the US election, no doubt, and for that to work at its potential just put a 'women' behind it 'she called the trials'. Then add some 'cleansing' like she's just doing the dishes and then some 'reconciliation' by slaying Hussein during a US election. Now they can go and tell everyone they're reversing the trauma but really they're killing two birds with one Saddam. Saddam would be charged with crimes against humanity for a 1988 massacre of Kurds, the 1990 invasion of Kuwait and the 1980-88 Iran-Iraq war, said Salem Chalabi, a lawyer leading the work of a tribunal that will try the former Iraqi leader. 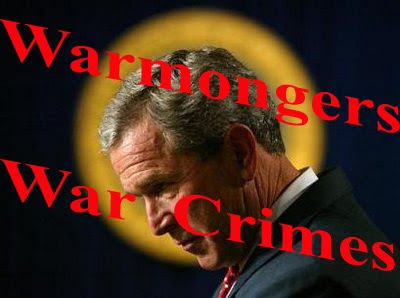 "It will be a court of vengeance, a settling of scores," Mr Ludot told France Info radio, saying any judge sitting in the court would be under pressure to find Saddam guilty. 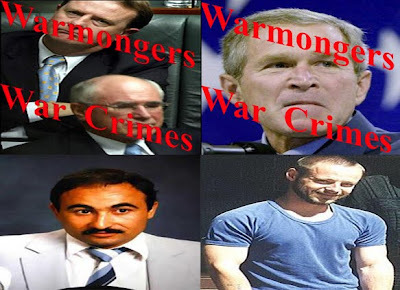 And I might add a court of serious propaganda for US-Iraqi puppet public relations and no - the US are not going to let Saddam get away George Dubya Bush wants to use his arse very badly in his war on LIBERTY. Mr Ludot said he expected Saddam to say last year's US-led war was illegal. WORLD PEACE: Him and most of the worlds population. [War criminal], Prime Minister John Howard thinks the violence in Iraq will go on despite the handover of power from the "occupying powers" to the "occupying powers" interim, [puppet], Iraqi Government. Corp Media: Labor is back in an election-winning position, reversing poll results earlier this month, the latest Newspoll has found. The survey shows that on a two party-preferred basis Labor has 52 per cent of the vote, against the Coalition's 48 per cent. Iraq political disaster for the Libs! [War criminal], Prime Minister John Howard believes voters are beginning to rethink their views on Iraq and that the issue of genocide and occupation of a sovereign nation is becoming a political positive for the Government? How can we dance when our beds are burning? The Un-Australian: "Mark Latham bundled his young family into the car and drove about an hour from his home in Campbelltown, in Sydney's southwest, to Peter Garrett's house in the NSW southern highlands. The Un-Australian's Paul Kelly who just happens to be in Washington asked, [war criminal], Richard Armitage what he thinks about Mark Latham's bring the, [militants], home by Christmas policy, surely? The report, titled "Silencing Dissent: Non-government organisations and Australian democracy", can be downloaded by going to 'What's New' on The Australia Institute website. The United States is close to an agreement to build a major military base on Australian soil disguised as a training base. The US would spend tens of millions of dollars to upgrade one of Australia's existing training bases in Queensland or the Northern Territory. [War criminal], Defence, [War], Minister Robert Hill and the US Defence, [War], Secretary, [war criminal], Donald Rumsfeld, have discussed future military cooperation during talks in Singapore. The talks, on the sidelines of the Asia Pacific defence, [war], talks, come ahead of the annual Australia-US Ministerial meeting next month. Australia: Bringing up children can we afford it? The government complains about the economic consequences of people not having enough children. [War criminal], Peter Costello expects us to carry out our patriotic duty by going home and having more children. But for most people it is a struggle to bring up one child let alone two or three. Take Action to Stop the US-Australia Free Trade Agreement! The Australian Government has signed a Free Trade Agreement (FTA) with the USA that undermines fundamental social, cultural, environmental and democratic protections which we all enjoy. Australians have witnessed a big turnaround all right, forget about the corporate media's latest opinion poll just look at, [war criminal], John Howard's social and foreign policies. What do they reflect?